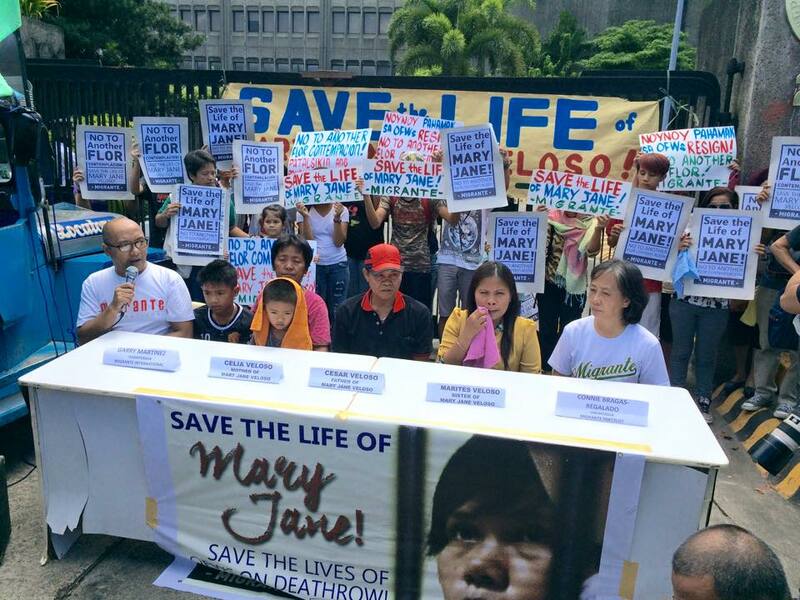 The family of Mary Jane Veloso, the 30-year-old Filipina sentenced to death in Indonesia, held a press conference in front of the Department of Foreign Affairs main office in Manila today and demanded an explanation on why the Philippine government failed to give much-needed legal assistance and protection for their loved one. Agus Salim, Mary Jane’s Indonesian lawyer, also said that Mary Jane was not able to defend herself because she was not given a lawyer or a translator when the police interrogated her upon arrest; during her trial, the court-provided interpreter – a student at a foreign language school in Yogyakarta – was not duly-licensed by the Association of Indonesian Translators; and, her lawyer for the most part of her hearings was a public defender provided by the police. This last detail corroborates the family’s claim that no proper legal counsel was given Mary Jane by the Philippine government, contrary to what the DFA has claimed in news reports and press releases. Celia said even their first visit to Mary Jane last June 3, 2013 was made possible not by the Philippine government but through the financial help of her fellow inmates and jail guards who contributed money for their airfare, passport and other expenses during their one-month stay in Indonesia. Since the Aquino administration took office in 2010, seven Filipinos have been executed abroad – the biggest number of executions under one term since the Philippines started its labor export policy in the 1970s.